Tent weddings are no longer solely associated with a casual backyard bash. With a crop of different types and styles, it's never been easier to personalize them to your tastes. 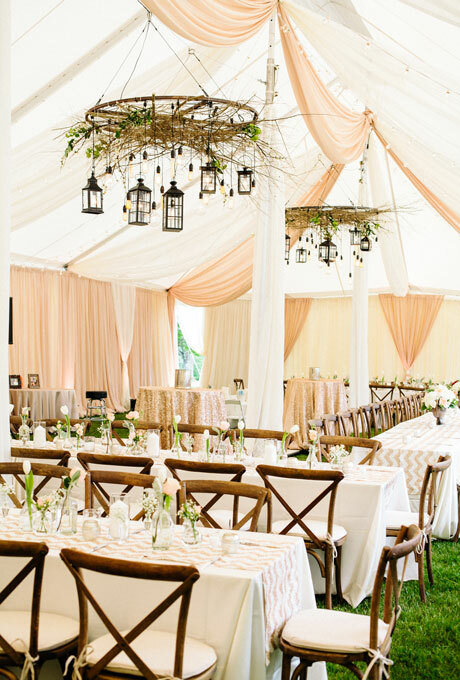 With a ton of customizable options like lighting, weather protection, and structure styles, these tents are the perfect way to bring all the comforts of the indoors straight to your outdoor wedding. 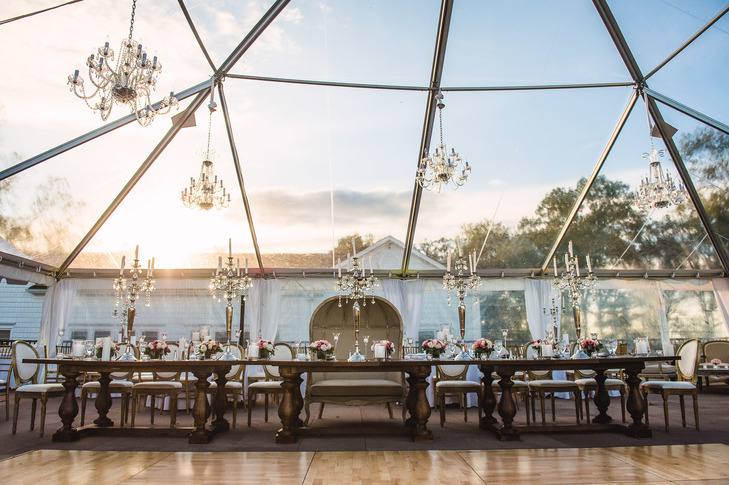 A clear tent gives the impression of dining and dancing in a greenhouse. It is stunning during the day with its glass effect but even more beautiful at night- with the lights gleaming right through the tent. 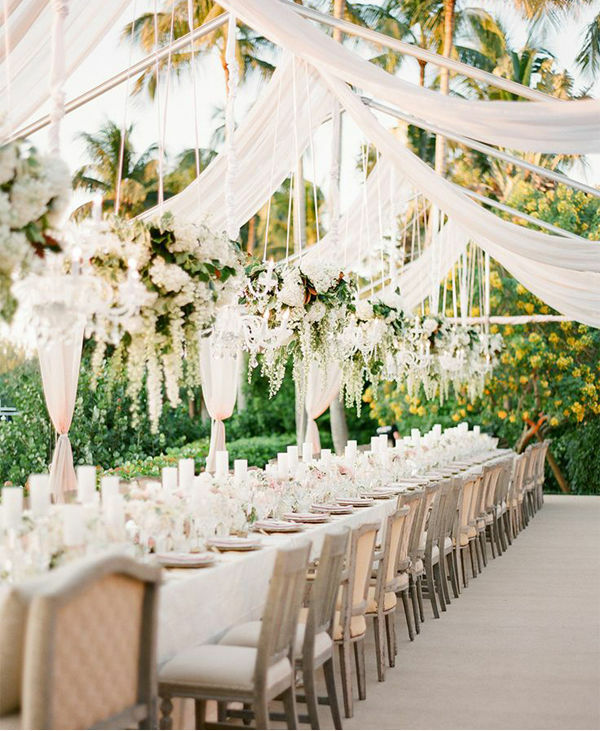 Consider adding chandeliers for a majestic, romantic feeling. 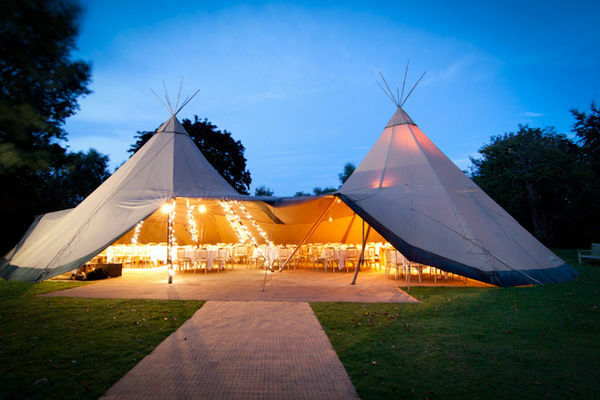 Whereas, a sailcloth or teepee-inspired style could bring some boho flavor to your wedding day. Unique in its structure but perfect in its protection from the elements, this could be your cozy solution to a late summer wedding under the stars. Or perhaps box them in and create the feeling of enclosure and intimacy by creating a faux "tent" out of string lights. Now this is what dreams are made of.